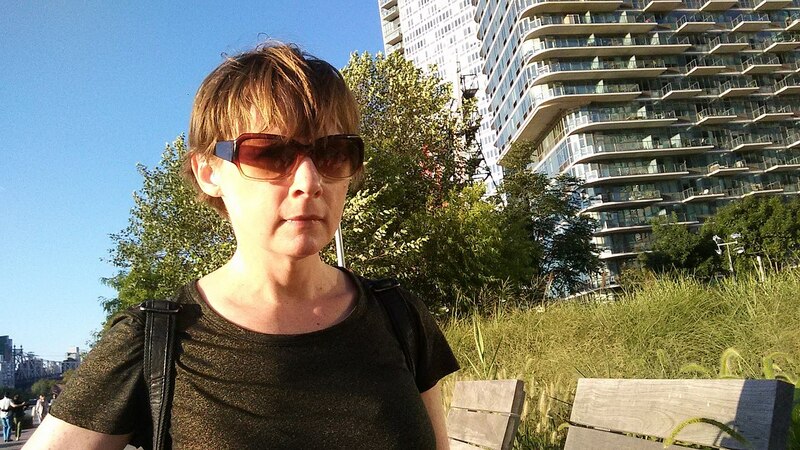 Anne Leonard is an Information Literacy Librarian at New York City College of Technology. In this post she reflects on her experience incorporating Wikipedia and Wikimedia Commons into her course, Learning Places: Understanding the City. Image: LICwaterfront2016.jpg, by Anne Leonard, CC BY-SA 4.0, via Wikimedia Commons. Interdisciplinary learning and place-based learning are at the heart of General Education at City Tech. For the past several semesters, librarians have been co-teaching Learning Places: Understanding the City, an interdisciplinary approach to investigating the urban built environment through a case study of a specific place, chosen by the instructors. Typically the course is team-taught by 2 or more faculty from different departments; in this case, I taught with a colleague from the department of Architectural Technology. 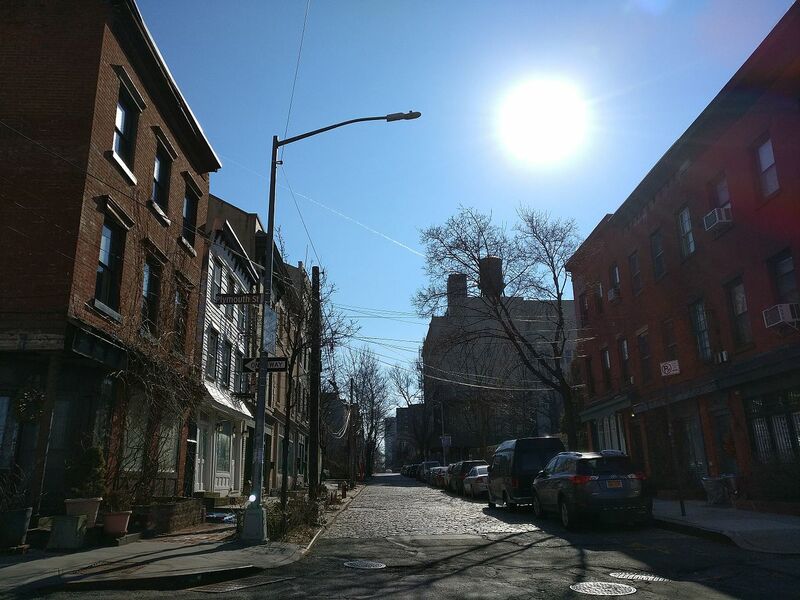 We selected Vinegar Hill, a neighborhood within a 15 minute walk of our downtown Brooklyn campus. This residential and industrial neighborhood contains an electric substation, a small historic district, a public housing project of nearly 1,400 apartments in ten high-rise buildings, and is adjacent to the East River waterfront, the Brooklyn Navy Yard, and a thoroughly gentrified upscale loft district. This diversity of land use combined with a rich industrial past and a future facing complex issues around gentrification and sustainability led students to generate compelling hypotheses to test using field research as well as research in New York City’s many special collections and archives. In the past, the Wikipedia assignment was a high-stakes group production of a brand-new article. This semester, the case-study design of the course did not afford this, so I redesigned the Wikipedia assignment to include contributions to Wikimedia Commons. Each field visit to the site we study is a chance for students to document the place through photographs. These images become the content they share through Wikimedia Commons. Image: Belgium Blocks vs. City Streets.jpg, by Cmcm1205, CC BY-SA 4.0, via Wikimedia Commons. When we introduced the assignment, we asked students about their regular use of Wikipedia, whether it be academic or personal. Many said they used it much less frequently than in the past – referencing their high school experiences – as their college instructors had warned them never to use Wikipedia, in one case even threatening to dock their grade if it was determined that sources from the reference lists of relevant Wikipedia articles were used. Understanding this in advance made me realize that we needed to re-introduce students to Wikipedia, so we read together several articles relevant to our site not only to learn about the area, but to consider what content was incomplete or in need of improvement. The Wikipedia assignment has both individual and group work components, and students have a lot of latitude and agency to select articles to edit, revise, and improve with references. Edits, references, and media uploads were individual tasks, and each research team then posted a summary of their work and its relevance to their research topic to the course blog. Some students, proud of their public writing (or perhaps concerned that their contributions would be overwritten or reverted), illustrated their blog posts with screenshots from Wikipedia. My assumptions about the teaching and learning affordances of Wikipedia were challenged and even broadened with this low-stakes assignment. Most site documentation happened during the 2 or 3 field research visits, which took place early in the semester, before students clearly articulated their hypotheses. 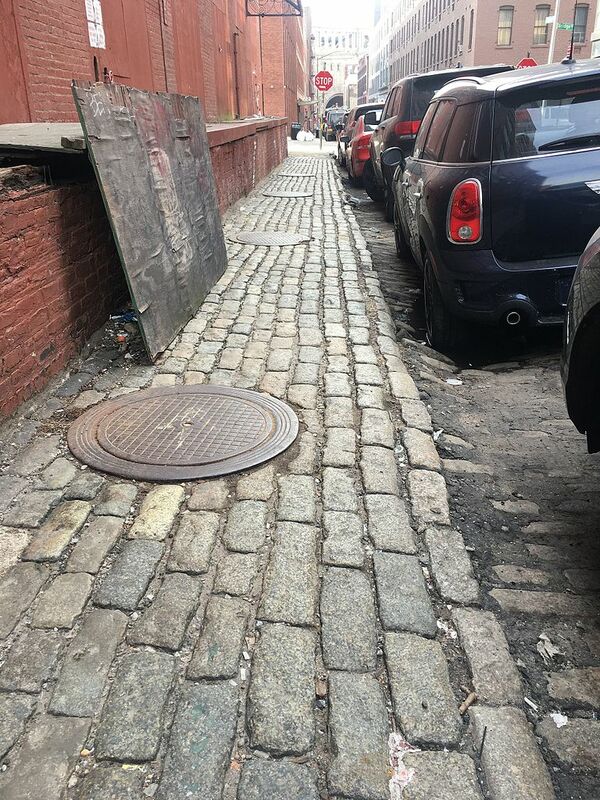 Without a specific question or problem yet in mind, students documented freely with their phones, photographing the streetscape, historic residential and industrial buildings, infrastructure, and distinctive features of the place, including wall murals and streets paved with Belgian block. Even without prior exposure to content on Wikimedia Commons, students easily spoke the language shared by much of the Commons content that documents the built environment. Their contributions are vernacular, ordinary – a mural, an intersection, a streetscape of low-rise buildings, sidewalks, and parked cars. Though we did not spend a lot of time in class reviewing existing Wikimedia Commons content on their topics, they naturally adopted a documentary style that is in keeping with much of the Wikimedia Commons content that documents urban places. Their photos made minimal use of filters or panoramic effects, unlike how (I imagine) they present the images from their phones in their day-to-day lives using the filters and effects of social media platforms. By and large, the students wisely grasped how Wikimedia Commons images are intended to communicate without an explicit lesson or discussion, thereby demonstrating the visual knowledge that they bring to the class. Image: Vinegar Hill Feb, 2017.jpg, by Jimfienco95, CC BY-SA 4.0, via Wikimedia Commons. The Wikimedia Commons component of the assignment was simple: select an original image from your own work, assign a Creative Commons license, and assign a relevant category. There was no requirement to add the image to a relevant article, though some students decided that an improvement to their article meant adding one of their images. A new assignment always brings surprises and challenges. I was surprised to see that the most difficult part of the assignment, fully realized by only a few students, was assigning categories to their images. Other surprises included how inconsistently and cavalierly they approached the training; only about half finished the required three modules, but a few completed all 6. Later my colleague commented on the ease with which someone could cheat on the training modules and we agreed to supplement them with a lab, practicum, or quiz, or consider flipping the assignment next time by reviewing the training modules during class time. 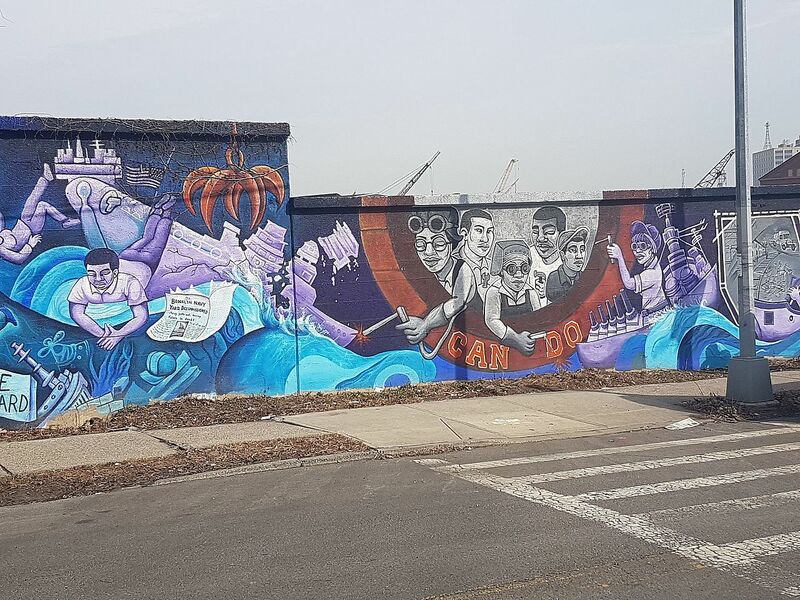 Image: Mural at the Brooklyn Navy Yard.jpg, by Weaponxyz, CC BY-SA 4.0, via Wikimedia Commons. I have thought of a number of ways to enrich and extend this assignment in the future; the challenge now is to select just 1 or 2 directions to pursue the next time I teach the course. I think that even more discussion about what constitutes a valuable contribution to the Wikimedia Commons would help students identify even more images of value from their own work. Next time, I would like for class discussion to generate a rubric for students to evaluate their own work and peers’ work. I will also review the assigning of categories and titles for images that give sufficient context to identify the image. Next time, I will participate in the image-uploading assignment along with them; after all, I take part in the field visits and document with my cellphone camera as they do; why shouldn’t I share my work with the class and with the community of Wikimedia Commons users? Students have a responsibility to learn about Creative Commons licenses, and then use that knowledge to choose an appropriate license for their work that they are comfortable with; this is another means to empower them, to encourage their creativity, and then showcase their developing knowledge and aesthetic sensibilities. Assigning Creative Commons licenses to the other content they create, including the site for final projects, would be another way to put this knowledge into practice. Once we review contributions in class, an interesting facet of information literacy comes to light: the gathering and display of metadata, including the timestamp, GPS location, and camera equipment, a jumping-off point to a discussion about privacy and consent, authorship and intellectual property.